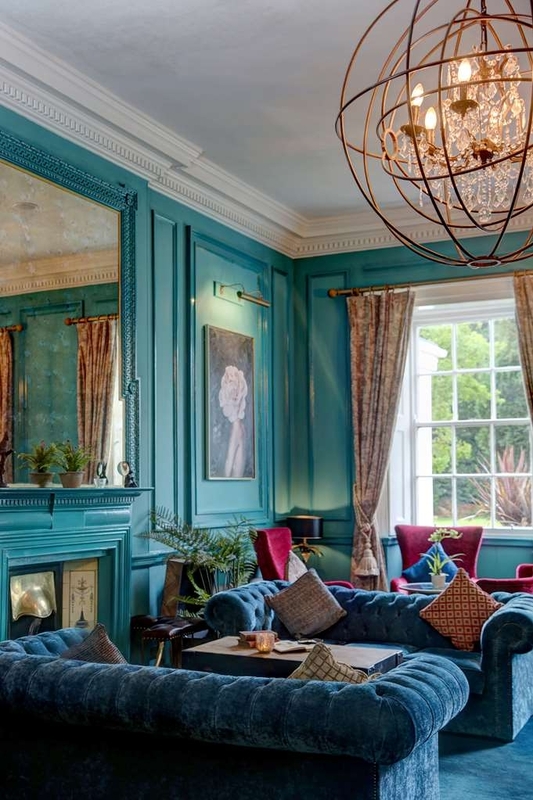 Il Hallgarth Manor House, Signature Collection è situato nel centro di Durham. L'hotel è vicino alle principali attrazioni turistiche. Approfittate tutto l'anno del miglior prezzo garantito e di offerte esclusive. Situato in una splendida tenuta privata alla periferia di Durham, l'Hallgarth Manor House, BW Signature Collection emana un fascino e una personalità tradizionali. Nonostante l'edificio conservi molte delle caratteristiche originali del XVI secolo, è stato rinnovato secondo standard elevati e offre i confort più recenti, mentre il ristorante interno è diventato una meta apprezzata grazie alla sua eleganza e all’ottima cucina. Ciascuna delle 24 camere dell'hotel è arredata con gusto, dalle accoglienti camere con letto matrimoniale alla lussuosa suite Sanctuary. Le camere sono tutte dotate di macchina per il caffè Nespresso, Smart TV e accesso Wi-Fi a Internet gratuito. Potrai inoltre goderti una vista spettacolare sulla campagna adiacente o sui giardini che circondano l'hotel. Ci troviamo a meno di otto chilometri da Durham, una delle città più belle della Gran Bretagna: non mancheranno quindi le opportunità per visite a luoghi di interesse storico. Non perderti la magnifica cattedrale di Durham e lo splendido giardino botanico presso la Durham University. A 20 minuti di macchina dall'hotel si trova il museo vivente Beamish. 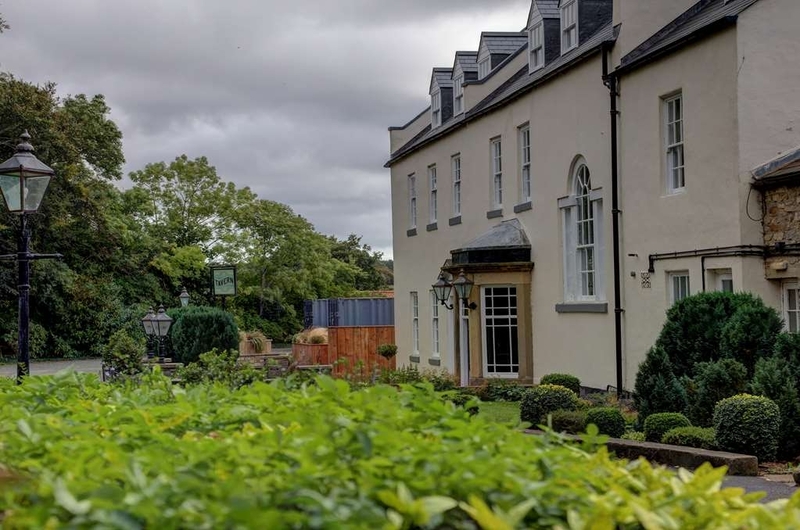 "Perfect Venue, Amazing Food, Outstanding Staff"
I've recently just had my Wedding at Hallgarth Manor on the 30th Of March and I just can not stop singing their praises. We first had a taster evening where myself & my husband went up to the venue and had a different three course meal each. The food was delicious, every course was amazing. The only problem we had was picking between all the beautiful meals. We had been totally spoilt for choice. Cassie was the lady who we spoke to the most regarding the wedding and she is just amazing. I can't thank her enough for all the help she provided us with for the day. She made me feel like our day was just as important to her as it was to us. Her team where fantastic! Full of smiles, couldn't do enough for you! The day wouldn't have ran as perfect as it did if it weren't for them all. Our room ( The Sanctuary Suite ) was beautiful! We had a lovely view of the gardens. The HUGE bath was great! If you are thinking of booking your wedding here do it! It will be the best decision you ever make! Our day was spectacular! The mirror ball room looked like everything I had imagined!! Service was impeccable!! We really can't thank you all enough for our prefect day at Hallgarth Manor! Thank you for your kind comments. I'm so pleased you had a wonderful day here at hallgarth. Please don't be a stranger and come back and visit us. This hotel was very clean and the staff very friendly. Really lovely social areas inside and out. We had a great meal in the restaurant too. The sound proofing in the rooms isn't great and we had a very rubbish night's sleep on our first night because of the adjoining room but the staff sorted a room move for us which was great. I would definitely recommend this hotel and if you can, go for the deluxe rooms they have much more space. Its only a 5 minute drive in to the cente of Durham yet you are in the midst of beautiful countryside. Table booked for 6 tomorrow. Rang up just now and said they just realised they had an engagement booked for the same time (really) so cancelled our booking? Not impressed and will go back there again. I'm sorry you felt that you had to cancel your booking with us. Due to a rise in party numbers we thought it more appropriate to enquire the possibility of a later arrival to ensure no wait for your party. I do hope that you change your mind on visiting us one day and experience everything that we have to offer. "Dirty bathroom - but nice hotel"
Lovely building and the room was nice, however I don't think that the bathroom had even been cleaned prior to us getting there. The sink was covered in facial hair, the toilet roll holder was thick in dust, hair in the shower and the shower screen was very streaky. Could have been a lovely stay if it was clean. Disappointed. 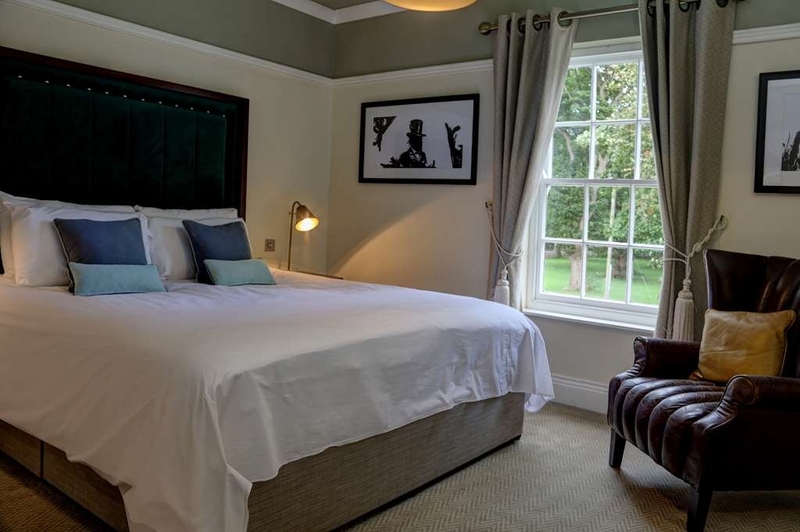 "Fantastic with a boutique hotel style!" From arrival to departure, dinner and breakfast (Thanks to Amanda and her guardian angel for some lovely chocolates to our teenagers !!!) a hidden gem 10 mns away from the city! Plenty of space to park and once there, definitely no envy to go anywhere else ! We will be back !!! Thank you for your kind comments. We hope to see you again soon. Great wee find and ideal for a stop off en route South. Very friendly staff - keen to please and their friendly approach adds considerable value to what is a great hotel. Rooms clean. Bed very comfy and shower is exceptional ! Evening bar food is first class and a hearty breakfast rounds off the stay. Can't recommend enough. 5 Stars. Thank you for your kind comments! We hope you return to stay with us again! The hotel is lovely, quiet and full of character. The bed was very comfy and the room was good value for what we paid. Breakfast was cooked to order and there was plenty of choice. The staff were friendly and had a real "can do" attitude. We will definitely be returning. Thank you for your feedback. Come back soon! A very nice hotel to stay in and the restaurant food was great. Very comfortable rooms but only one down side was the light in the rooms which was one but the door and then two bed side lights,could do with one nice room light in the middle of the room. Lovely bathroom,tv. My partner and I stayed at hallgarth manor for a 2 night stay and was delighted with its friendly staff who made us feel very welcome. Dawn the duty manager that day showed us to our lovely room. It was very comfy and clean. We enjoyed food cooked by the excellent chef Ian so much so we stayed for lunch both days of our stay. And the young bar man Luke was very friendly. Couldn't reccomend this palace more! Thank you for your kind comments. Delighted you enjoyed your stay. Lovely Valentines meal, food was great, staff helpful and friendly. Price for food was really good. Nice atmosphere in the restaurant. 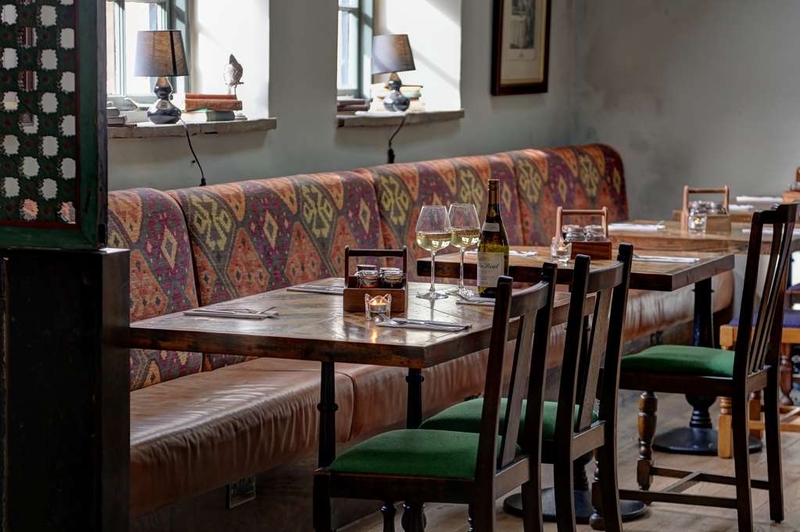 There is also a nice tavern pub with plenty of comfy seats to unwind in and enjoy a relaxing drink. Glad you enjoyed your stay. Hope to see you soon. "Married Feb 19 - best day of our lives"
Thank you for your great feedback. It was a pleasure to be a part of your special day. Hope to see you soon! "Very nice stay. Lovely staff"
We stayed here on the coldest night of the year, but the warmth of the staff more than compensated. The room was good although very short of hanging places for clothes. Nice comfy bed. Reasonable shower, but no bath. Main staircase carpet was a little grubby but snow outside didn't help. Staff are very friendly and helpful. Breakfast superb, dinner great and wine very good. Excellent value for money. 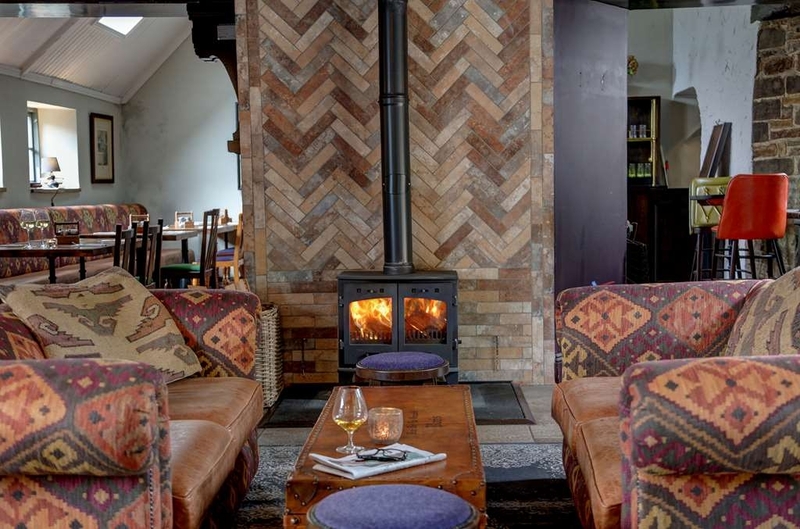 The log burner in the lounge is lovely when its cold outside, makes it really cosy. Really enjoyed my stay despite the severe weather! Place was really nice, food was very very good and the staff were incredibly warm and friendly, even providing soapy water for my windscreen as the snow and grit had exhausted my screenwash on the way there, would definitely recommend staying. 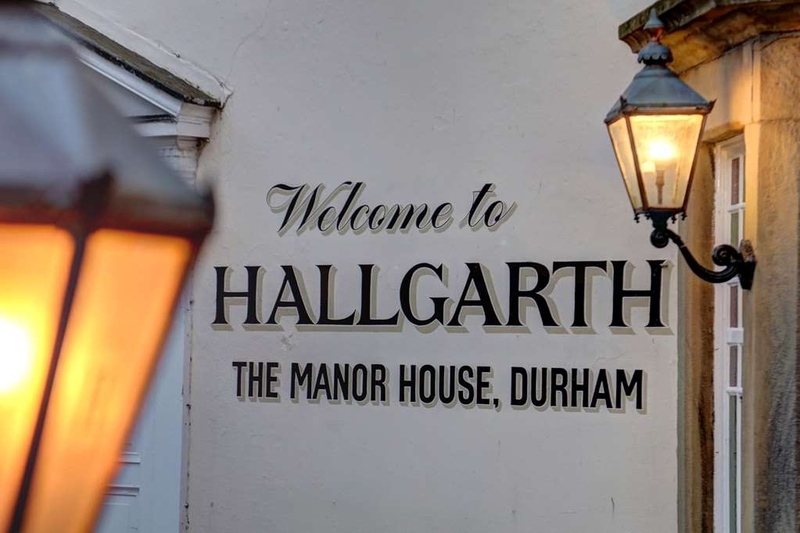 We visited Durham for the day and the Halgarth was an ideal spot .Lovely country air and a beautiful location. The staff were friendly and helpful, they made the stay more enjoyable. 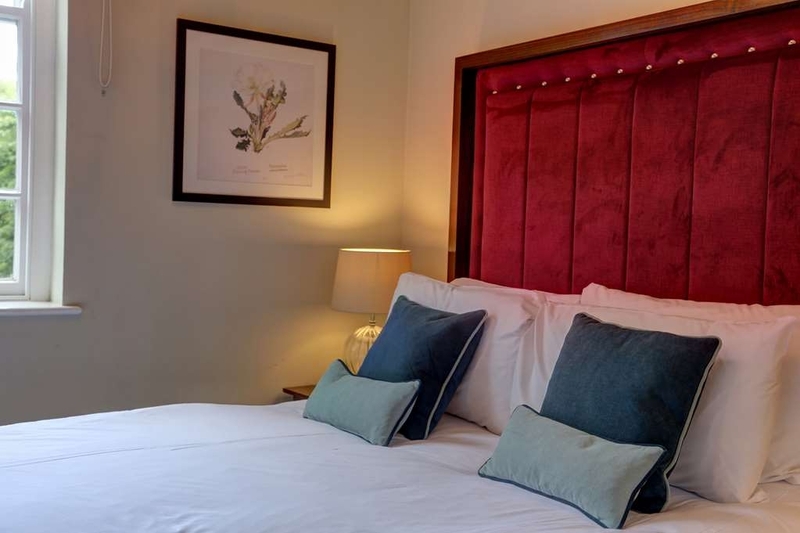 The room was immaculate and the bed was extremely comfortable.The drinks and food were good value for money. Great hotel, quirky and petite, lovely decor and the food is gorgeous. Rooms are spacious and plenty of sitting areas. Would defo stay again especially if another winter sale offer came about, very cheap for how lovely the hotel is. Delighted that you had a great time. "Well recommended staff make this a pleasure "
Delighted you had a great visit. See you next month. "Best hotel stay in England"
We have stayed at this hotel multiple times due to the how fantastic and luxiourious it is. 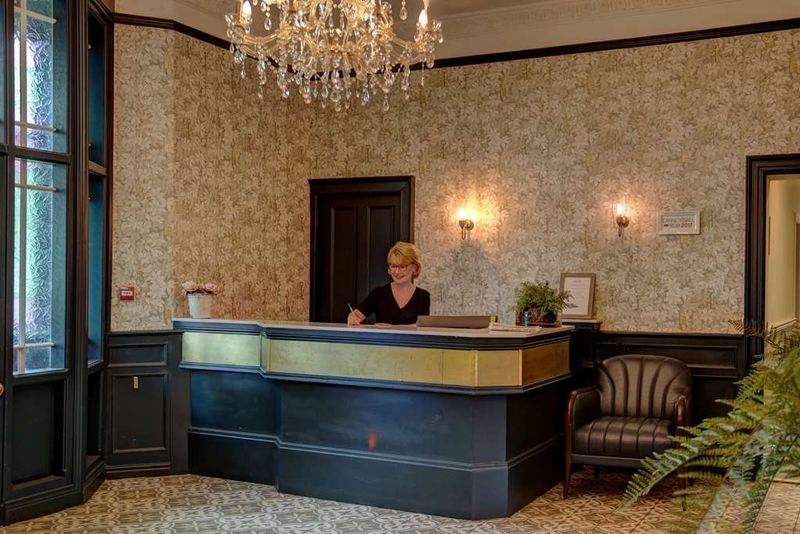 A friendly warm welcome awaits you from the staff, where nothing is to much trouble. The building is full of character, the decor is opulent luxurious spacious with lots of natural sunlight flooding through. They have successfully incorporated modern aspects without loosing any of the originality The rooms are gorgeous well designed and impeccable clean. There is everything you will need within your room, including a coffee maker. The beds and bedding are of the highest quality ensuring a good night's sleep. The rooms that we have stayed in have fantastic scenic views. An excellent choice for breakfast both continental and cooked. They use the finest ingredients and it was cooked to perfection. They also provide food throughout the day as well as evening meals. It is a really romantic place perfect for those weekends away. Where you have your every need attended to. We have stayed at so many different hotels as we are frequent travellers, yet this one is the best by far hence why we keep returning. A must place to visit. After I booked my stay I contacted the hotel and asked for my room to receive an extra pillow and to book a reservation for 7 PM in the hotel restaurant, which I Received a message back from the hotel (Emma) confirming these are all set in place for my arrival. When I checked in we were not explained the WiFi correctly and I asked to check my reservation for the next day but she couldn't find the book to check so It got left. I was then told my check out was the next day at 11am but if they took the time to check they would have seen my stay was for two nights. When I got to my bedroom they was no light in the actual room only side bed lamps, the room was very dark even in the day time so we had to keep both side lamps on at all times. My extra pillow wasn't even added to my room so I had to walk all the way back downstairs to ask for a pillow then follow the lady and wait for my pillow and then take the pillow back up to my room. We went to breakfast the next day and they had no fruit on like they were meant too and when I ordered my breakfast I was far from impressed. The bacon and sausage you only Received one Of and the beans well they might of well of not even bothered they must have been less then a tea spoon full on. The next morning breakfast I asked for extra beans and might of well of not even asked but they was a bowl of bitter unfrozen Berries this time. My reservation for 7 PM in the hotel restaurant wasn't even added to the book but I wasn't informed of this I actually had to go and find out myself so who ever messaged me back basically lied and hadn't done a thing I requested. After everything that had went on we decided to get out of the hotel for the night and I'm so glad we did they was a beautiful Indian restaurant called amaani the food was out of this world but I would recommend booking I was lucky enough they made a space of us. The bedrooms are so small and I was in the Double deluxe room I dread to think how small the cheaper rooms where like. The bed had mud mark at the bottom of the blanket and they was a big cobwebs above our bed you couldn't miss it. The toilet started to leak on the last night after a few flushers too. I think towards the end of our stay we had given up any Expectations on this hotel unfortunately as to many small things Just kept coming our way and it all just built up in the end. "Comfortable room with good service and foo." Very friendly staff, good evening meal and breakfast. Slightly off the beaten track but easy access to/ from A1. Room was smallish but comfortable with all facilities available. Well recommended. Will definitely use again. Visited here for Sunday Lunch, we arrived quite late and got a table straight away, bar service was great and all the staff, whilst being young were very good. I ordered black pudding for starter, my partner ordered goats cheese, both meals were very tasty and generous sized portions. Main courses duly arrived, one pork and one beef. We both commented on how good the meat was and she also had loads of crackling, some of which I managed to pinch for myself!! Two courses was a very reasonable £13.95 per person and i think it was great value and deserves a lot more custom. 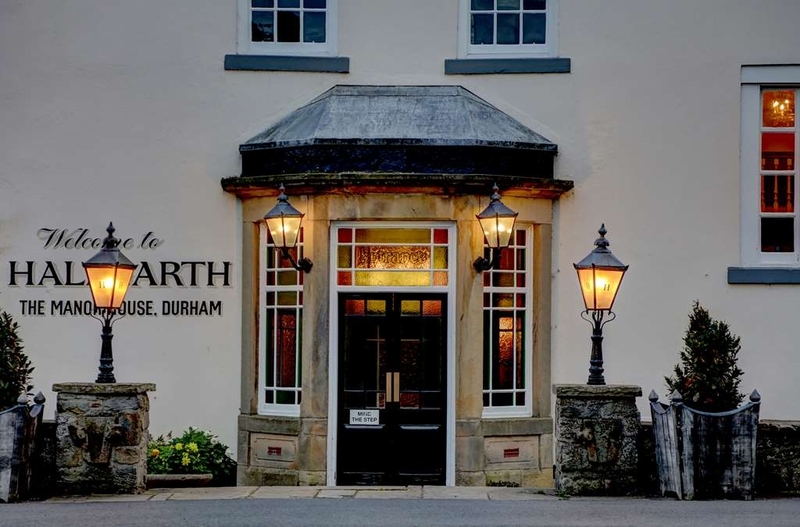 Stayed for 3 nights in what was a great wee hotel in the countryside but so handy for Durham city if you use the nearby Belmont Park & Ride (£2 per person return). Seaham is worth a trip (10 miles) The staff were friendly and helpful and the restaurant and bar were good value. There was much going on whilst we were there - a wedding when we arrived, a Christening celebration the next afternoon and the Hogmanay dinner and disco on our last night. None of these affected us apart from perhaps the Christening as the restaurant was set up for that so the previous evening we had to dine in the conservatory which was a bit bleak on our own and a bit chilly. Whilst the hotel did make the effort on Hogmanay we felt the disco actually spoiled it for many who dined, had a drink in the lounge/conservatory and then left! The disco (in the Tavern) was way too loud for comfort and I am no stranger to rock concerts! Breakfasts were above average with a good selection and choice of cooked options. Only complaint was the sausage which was billed as Cumberland. Believe me, I grew up with Cumberland sausage as my mum was from Cumbria and this wasn't even approaching the real thing. Why not just call it what it was - a pork sausage? Dinner was also above average and the Hogmanay dinner was better than the normal dinner in the conservatory. The fillet steak was cooked perfectly. I had the cheeseboard and it might have been a nice point to showcase what the cheeses were. I had no idea if they were local or just normal cheddar and brie. We thoroughly enjoyed ourselves and would have given it a 5 were it not for the size of the room. We had a deluxe one which was meant to be larger than the standard ones complained about in earlier reviews but as I am tall the sloped ceiling (2nd floor room) was a constant headache for me. The bathroom door only opened halfway and so you had to manoevre yourself in - tricky in the middle of the night! Two other slightly annoying aspects: with the Nespresso machine came 2 cups - fine for espresso coffee but hopeless for trying to make tea with a tea bag and my wife pointed out that the only mirror in the room was 10 feet away from the nearest plug socket - fatal! But that aside we'd return but maybe ask for a 1st floor room the next time to avoid the headaches and bring an extension cable for the straighteners! Thanks to Claire and Margaret in particular for making our stay so successful. Being local we decided to book the hotel for Xmas Day. Originally it was for five of us, but they managed to fit in my Brother-in-Law at the last minute, after he got stuck in the UK due to his passport being stolen. The staff were friendly and attentive from the minute we arrived. The atmosphere was great and so was the food. After a Prosecco reception, we had a range of starters, mains and desserts. To be slightly critical, the only fault was a fairly tasteless venison terrine starter. The other starters of salmon & broth were superb. The mains arrived with more than enough vegetables and gravy. The staff even respected our wishes to wait a while before they served the desserts. Again the Xmas pudding and orange treacle tart were excellent. Finished of with coffee and mint chocolates. Drinks were brought to the table upon request and "Santa" turned up on several occasions to give presents to any young children present. We all thought that this was excellent value and will definitely book for Xmas day again......Nobody has to prepare the food, cook it and wash up after, make the day even more special. Thanks to all the staff in Hallgarth Manor. Having booked the Sanctuary Suite as a surprise night away with my partner I was told 1 hour before we were due to check in that the room had been double booked. I had made the booking weeks ago. If this wasn't bad enough, I happened to have already spoken to the hotel earlier in the morning but nothing was mentioned. I told them we were only 15 minutes away and whilst apologetic all they offered us was a standard room with a complimentary bottle of wine. This doesn't even begin to make up for the upset and embarrassment that such a huge error on their part caused. I asked who made the booking first to which they advised it wasn't myself however I dispute this as when I booked the room I was looking on both their own website and Best Westerns website for the best rate. There was no offer of re-scheduling the booking either to another date (why not?). Since we were only 15 minutes away and had travelled for almost 2 hours we did arrive at the hotel to be shown some of the standard rooms in case we did want to take up their offer. We didn't. They were small, cold and smelt mouldy and overall unwelcoming. The foyer and bar area looked nice. My advice to you would be to call them up to double check your booking, and double check it again before you set off! It seems they prefer bookings direct on their website rather than via Best Western which offered me a discount which is perhaps why my booking wasn't taken/accepted. We apologise for the genuine computer error which occurred. We attempted to resolve with a number of options which were not to your liking,including the executive rooms which you were shown. We do not have any mouldy rooms. The room I was first put in did not contain what it showed on the picture or what it said on the website. No desk or seating, no coffee machine and no water. The second room was the same even though it was an upgrade no additional seating . It was not the staff fault the rooms are not all as per website description staff did try and rectify. My issue is The room should reflect the description. There would be no issue if people know what they are getting and they get it . The restaurant staff tried their best but one night people were complaining as there was only on staff on the trying their best but there was a run of customers so they struggled. One meal was good the other was ok. This was the ribeye it was not the best. Breakfast ok nice selection of fruit. Staff friendly at breakfast in fact they tried their best to help during the stay. Just another small thing the shower get was not replaced for the second night so had to get some emergency out of my bag. I'm sure they would have given me some but inconvenient when I realised early morning. Overall it did not reach the grade of good. I have to say that I really enjoyed the stay at Hallgarth Manor House. We ate in the restaurant in the evening. The food was lovely, however apart from one other party, we were the only ones eating in there. The "conservatory" dining area felt cold although it wasn't. This room was fine for breakfast in the morning, but maybe using one of the other cosier rooms as the dining room in the evening would be better. The standard of furnishings in the room was high and the bed was very comfortable. The big let down was the size of the room. Potential guests should beware that a basic double room is tiny. We stayed in room 3. There is no desk / dresser or work space for anyone who is using the hotel for business. The bedside tables are tiny and 3/4 of the space is taken up by the lamps. We had to put the kettle and cups on the floor to make a hot drink. The wardrobe is extremely narrow so you have to fit clothes / coats in at an angle to be able to close the door. The Bathroom is probably the worst part. It is beautifully appointed and decorated. 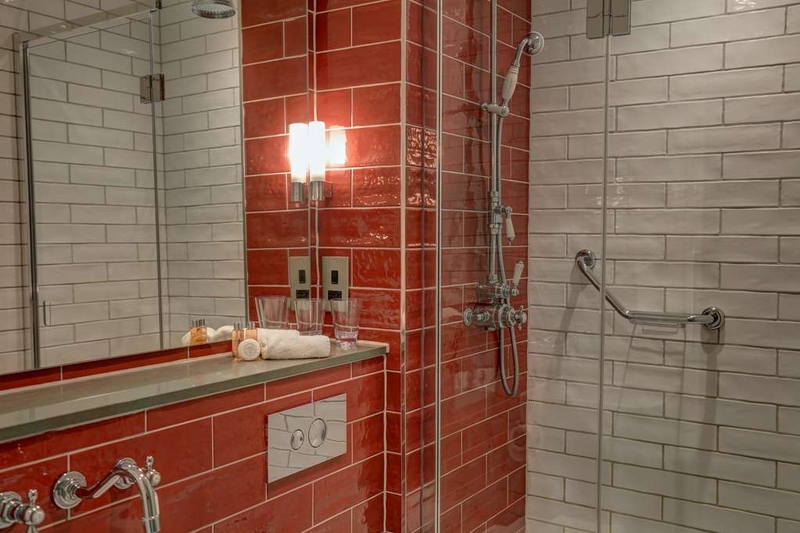 The shower is probably the best power shower I have used in any hotel. The big issue is the size and space provided in the bathroom. The shower cubicle in my opinion is not fit for purpose do to size. Guest literally have to squeeze into the cubicle and it is not possible to bend once in the shower or raise hands above shoulder level. This was the aspect that disappointed me most about my stay. Other than the size of the room and especially the bathroom / shower, it was a pleasant stay. I would stay again but would pay extra for a larger room and bigger bathroom. 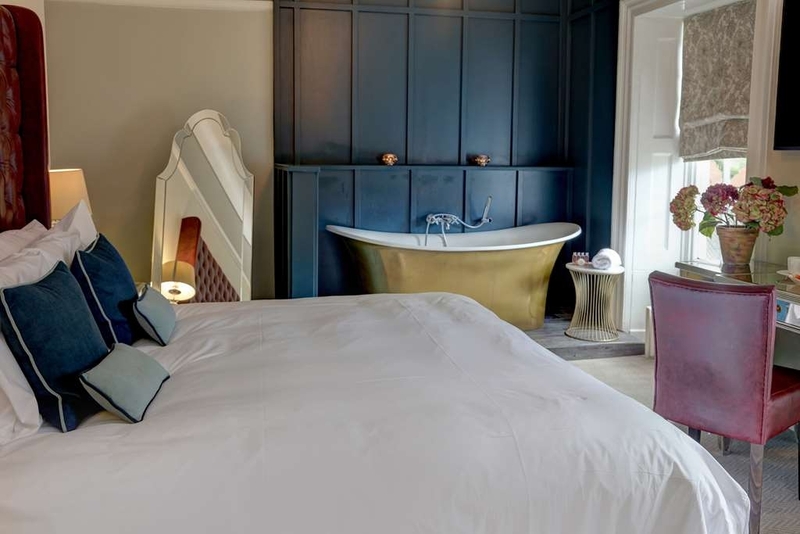 "Fabulous stay in a charming hotel"
Hallgarth Manor We had a most fabulous stay at the Hallgarth Manor recently. We first visited the hotel 6 years ago but didn't stay for the night due to our tight schedule. This time, we made it a point to stay a night in this beautiful hotel, just for the experience. The hotel used to be a country home before it was sold to developers which turned it into the hotel it is today. 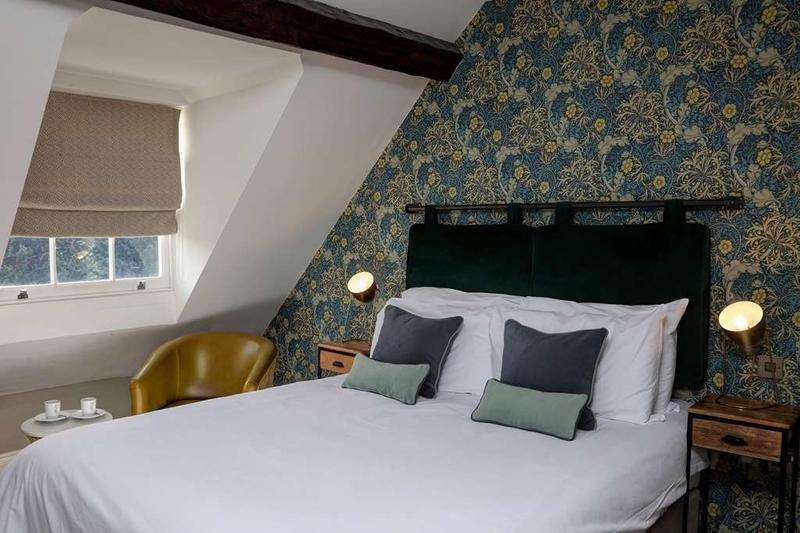 It was recently refurbished - the rooms have been given a fresh, modern look, yet much of the charm of the house remains. 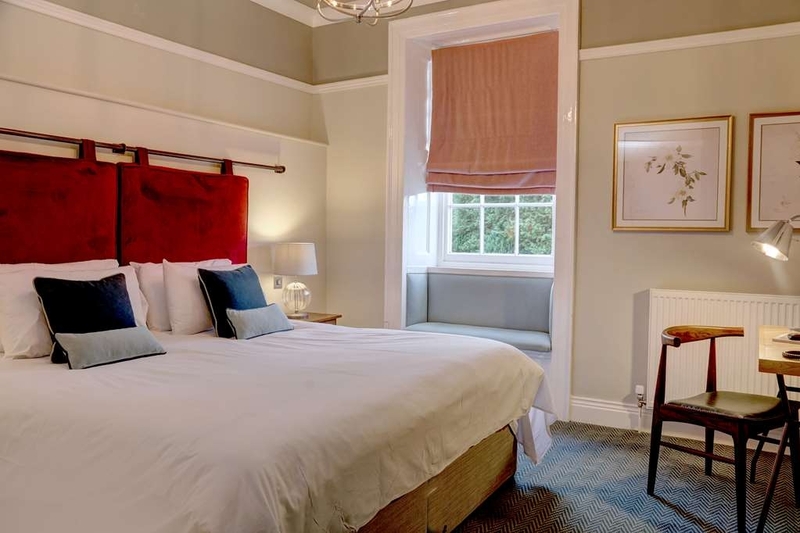 The hotel is only about 15 minutes away by car from Durham City Centre, situated within walking distance to the historic Church of St Laurence. Ideal for a weekend getaway or for tourists who prefer a hotel situated in a idyllic, quiet setting instead of one in the bustling city. Although we stayed only for a night, the staff at the hotel made us feel so welcomed that we felt we had been there for days. Although we arrived earlier than planned (at around 11 in the morning), Margaret, the receptionist kindly allowed us to check in to one of the rooms first. This helped greatly as we were travelling with our uncle and aunt in their late 60s, and 3 young children (not forgetting a whole load of luggage). Another staff member, Ian, kindly helped us carry the heavier bags upstairs. (There isn't a lift installed in the premises, possibly to retain the charm of the original house). Another friendly staff, Christine, who was on afternoon shift at the reception, shared with us about the history of the house which we appreciated greatly. Rooms - We love the rooms! I had expected a small, old-lookiing room with simple amenities (afterall, the house was built in the 16th century). Instead, we were greeted with a warm, cosy and inviting room. The beds were very comfortable; the bathroom was clean, well maintained, and even equipped with heated towel rails. (I was particularly impressed with this feature, and especially so in winter!) There was even a mini Nespresso coffee making machine in the room to make the coffee drinker happy. Food - We had a fabulous lunch at the hotel's restaurant, The Tavern. We ordered the ribeye steak which was juicy and succulent, the best we had tasted in a long time. The slow-roasted pork belly, traditional fish and chips and margarita pizza were delicious too. The portions were huge, with interesting and tasty sides. Kudos to the chef, Tom, for the amazing food; and thanks to Amanda, the restaurant manager, for her superb recommendations and warm hospitality. Afternoon tea was a delightful assortment of beautiful desserts served on a 3-tier platter. They looked almost too good to eat! (I especially love the orange flavoured cake.) For the kids, there is a huge garden by the side of the house (just beside the dining room) where they could run around freely and be wild. Though the weather was chilly, our kids had loads of fun playing in the garden while we sipped on our afternoon tea. 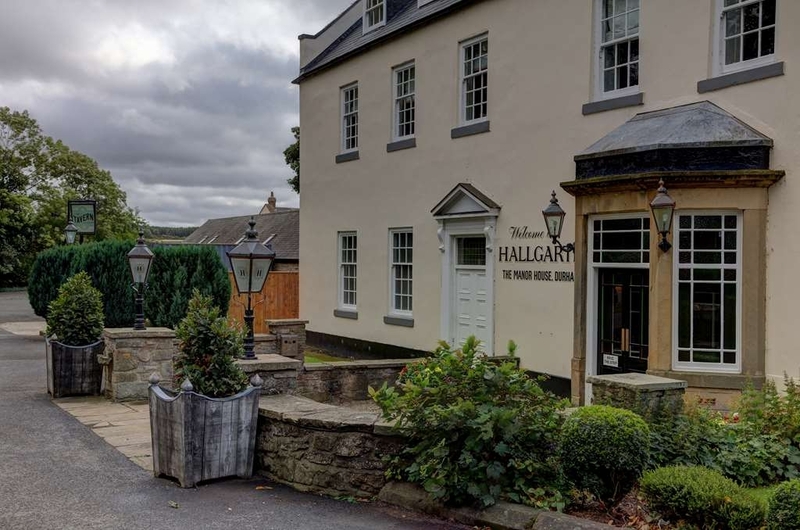 We enjoyed our stay and experience at Hallgarth Manor very much and will definitely return again. Thanks to the warm hospitality of the crew, we have wonderful memories of this very lovely hotel. Delighted you gad a great stay and look forward to your next visit. No wardrobes in hotel: 6 hangers, 2 small drawers, 1 small high shelf for 2 people for 3 days! No tissues, no bottled water. Remainder of a bottle of red wine stored in fridge overnight. Restaurant advertised but not available. Had to eat either in cold orangery or dingy "pub". Sunday morning hotplate not plugged in so food not hot. Had to plug toaster in for DIY toast. Staff mostly very friendly and helpful but needed training. Even at dinner, the paper napkins were tiny and one ply. At breakfast we had to ask for side knives for spreading butter. By Tuesday morning, had run out of marmalade and natural yoghurt. Waitress stood by table while my husband pulled a long hair out of his breakfast and her only words were: "The chef's a man". No apology, no offer to bring a fresh meal. The shower was great and there was a shelf in the bathroom. "Night away for our retirement." I'd called earlier to arrange a bottle of prosecco in the room and left some rose petals to scatter in the room - which was no problem for them. 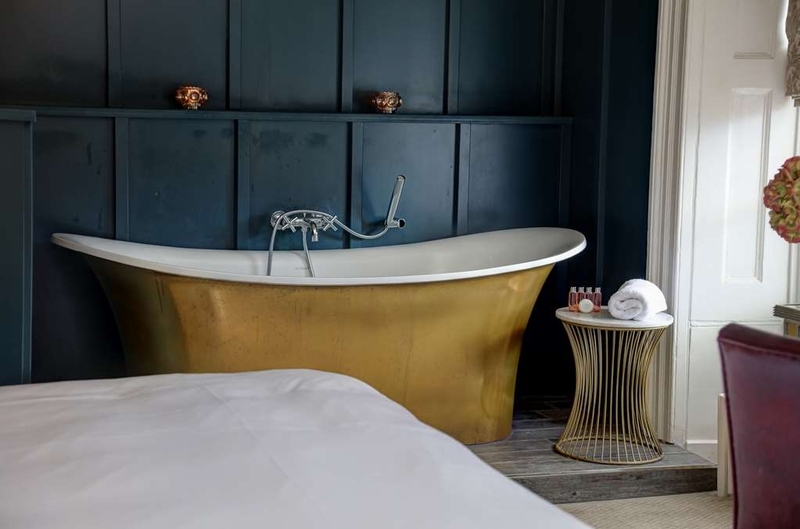 We had the Lancaster Suite - a large room with roll top bath in the room, in addition to the spacious en-suite with a double shower. 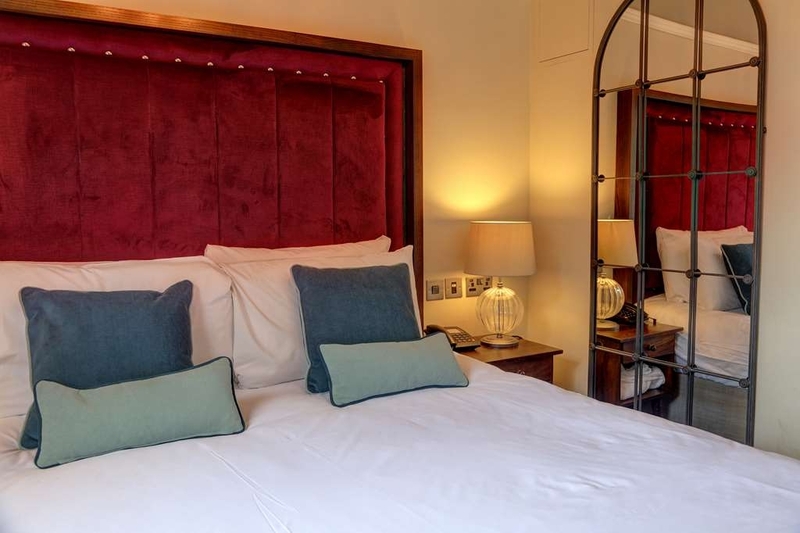 Large bed with provided an excellent nights sleep in Egyptian cotton sheets. Breakfast was cooked to order and was excellent with good quality ingredients, attentive staff. 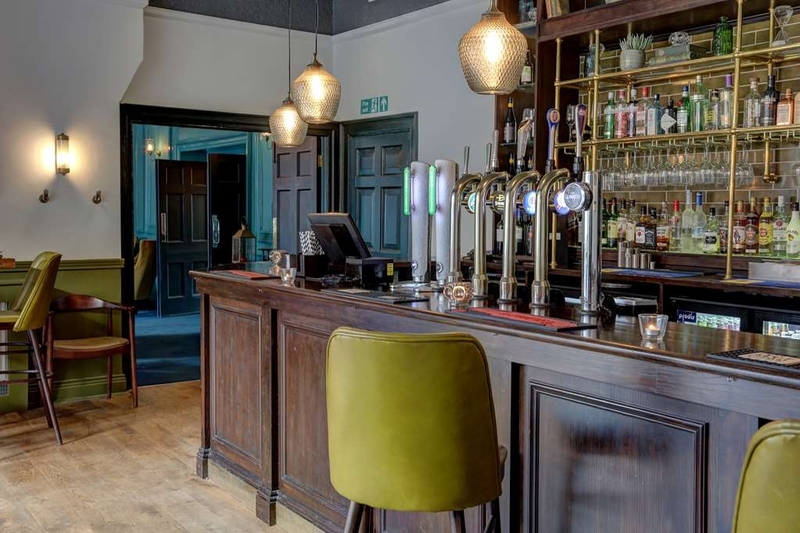 We live locally and have been visiting Hallgarth Manor since last year for food and drinks in the bar and restaurant areas. I was not impressed with the staff who all seemed miserable initially but having recently seen a new wave of polite, happy and helpful employees, the service levels have risen exponentially. The food from the bar menu is excellent and always served with a smile. We recently took our new born son down and the staff were lovely with him. The venue itself is great but it is the people that make this place somewhere to enjoy, relax and keeps us coming back. Keep up the good work guys. We chose this lovely hotel about 18 month ago to have our home wedding party as married in Cyprus! We and all our guests loved it (apart from the hangover! Lol) we were all so impressed with the function room, the bar, the hotel rooms were lovely and actually quite spacious compared to other hotels! The mirror ball looked absolutley amazing!! We have since been back for a bite to eat and the food is tremendous! A big thank you to all the staff who helped organise this and an extra thank you for the bar staff for putting up with us! We loved it all! 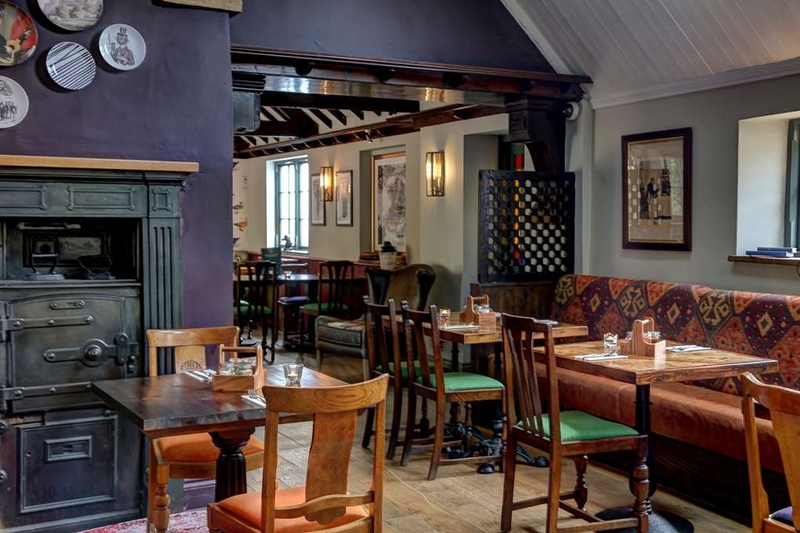 Looking forward to tryin Sunday lunch as spied one on our way out last week and it looked delicious! Would highly recommend this for a wedding or any type of large function! Or even a cozy night away :) Very welcoming and very accomodating! Thank you for your great review and I was delighted to see you had a fantastic time. It was our pleasure to look after you. See you soon! 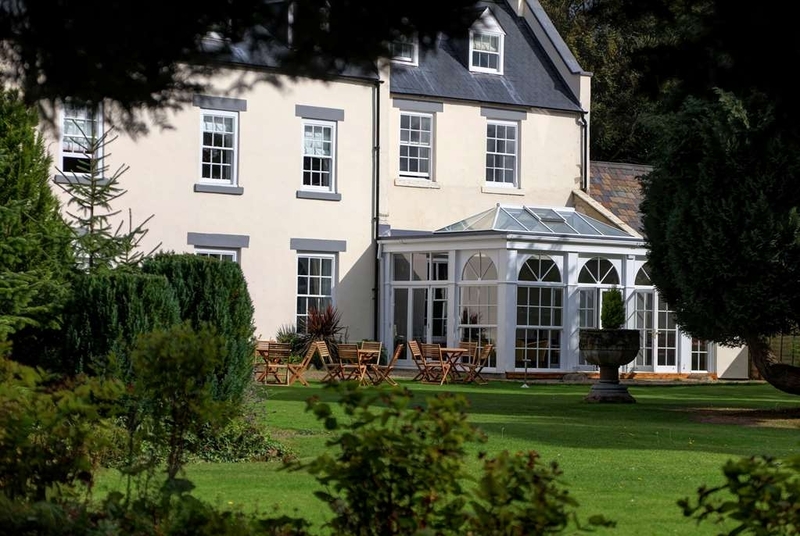 "Wonderful Traditional Country House Hotel with Exceptional Service." This 16th. 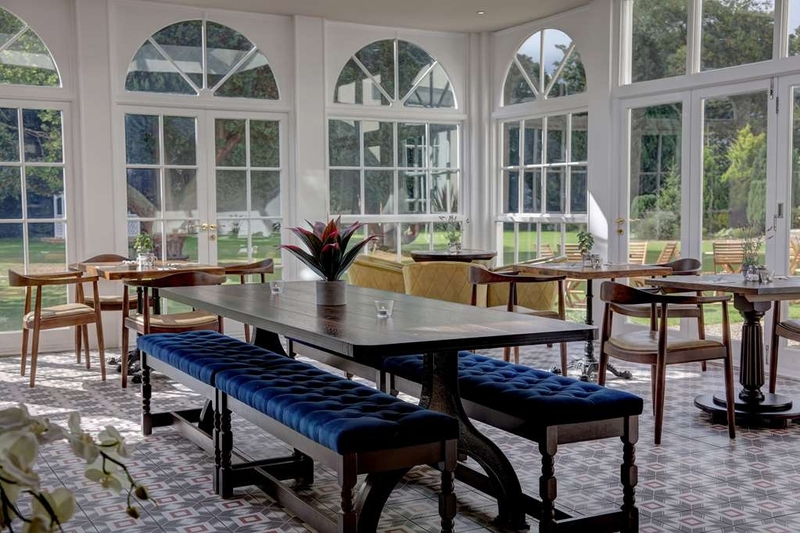 Century Manor House has recently been very tastefully refurbished to a high standard whilst retaining its character. Its location is very peaceful, away from the hustle and bustle but within easy access of Durham. We stayed in October for two nights. The welcome at Reception was warm and friendly. Throughout our stay all the staff from Reception, Bar, Restaurant and Cleaning were exceptional for their service and attention to detail. The room on the first floor was lovely, clean and spacious with a very comfortable bed, excellent modern bathroom and a view over the gardens. The food was excellent value. 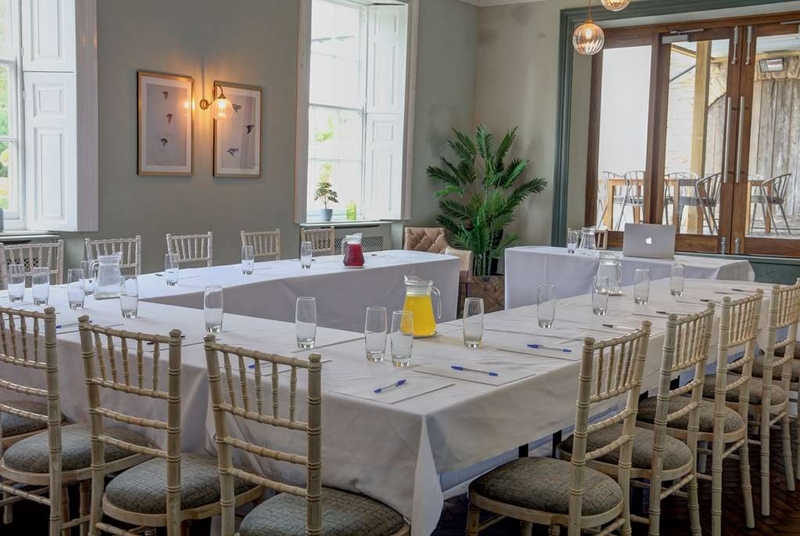 We had both breakfast and dinner in the Orangery Restaurant over the two night stay and the quality and presentation was excellent, as was the service. This hotel is a hidden gem and the Management must have a formula for selecting fantastic staff! They all deserve huge credit. For us Margaret's personal input made our stay a very special one. Christine on Reception and Amanda at Breakfast looked after us so well. We just can't fault this hotel. This is not our first visit, we have returned to it over many years and it just keeps getting better! We would highly recommend it, it's really worth a visit. This has real potential to become a 4* hotel but at the moment I can understand why it's sticking at a 3*, we booked the Sanctuary Suit for 2 nights, the rate we got for this and breakfast both mornings was more than reasonable. 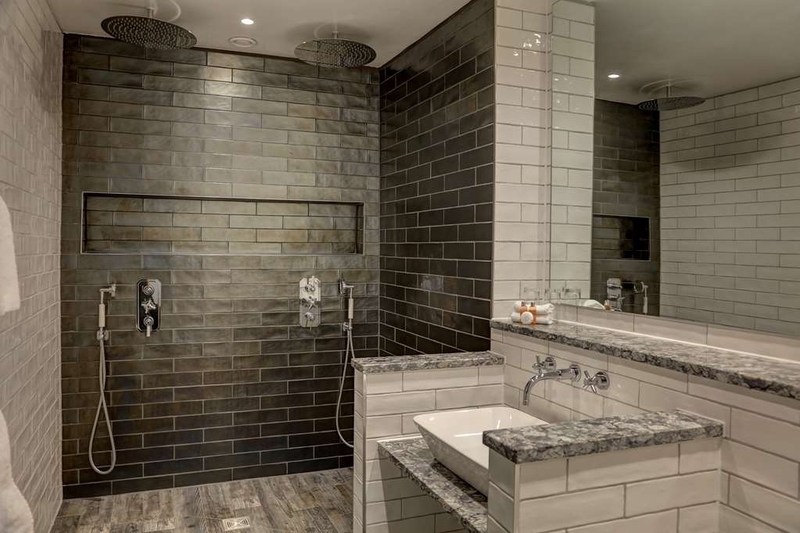 The room 6/10 - so for me the shower was amazing, partly the sole reason I booked this room was because of the shower pics shown, I wasn't disappointed. The bed was comfortable and a super king I believe. The down sides - the room could do with a lick of paint, many scuff marks which makes it a little tired looking, to add to this, small things that could be rectified like the blind working and handles on taps, a hairdryer in the room etc. Breakfast 6/10 - nice, enough choice, catered for veggies. The vicinity it was held within was very in keeping with the country manor theme, we were able to sit looking out over the garden with little squirrels running about. Staff - 10/10 all staff we dealt with were very friendly and no problems at all. Unfortunately whilst there on the 2nd night we had to nip down to reception as the hotel had been playing ABBA music pretty much non stop all night - it would appear our room was above the bar where the music was playing and the speakers were in the ceiling therefore it was as if we were at an ABBA concert, we just dealt with this but once it got to 10pm and had switched to rap music this we could stand no longer - abba was bad enough! We were up early the next day and needed sleep so my husband had to make x2 trips down to reception to get this situation sorted. Overall a nice hotel, would recommend the sanctuary suit but the music parts really did put a dampener on things for us. "We stayed for one night as part of a bed and breakfast trip"
We found this hotel very comfortable and friendly. The room was good with a very comfortable four poster bed and, although the room where we had dinner was rather dim the food was very good. The staff were very welcoming and friendly and I would happily stay there again. Arrived for the wedding fare for one last look as we have booked up our 2020 wedding, having visited many times we know the staff so it makes it more relaxing. On arrival we tried to book in and it appears when I booked forgot to put my surname down. I was known as Lee with nosurname. Very amusing with the reception staff and manager. The room was really nice. With parts of the building been listed the shower was quite small and a tight squeeze. The wooden beams inside the room gathered a lot of cobwebs. The bed was so comfy. We decided to eat in the tavern. The food was really nice. The atmosphere was relaxing. We also had breakfast booked. The presentation of food was really nice. Overall a very nice experience. The staff are really great. Always smiling and very professional. The staff have a good sense of humour and join in our conversation. One big happy family. Great weekend. Thank you all. Thought we would give Hallgarth a return visit after last year's meal problem at hotel. What l find with this hotel is the staff are one of its greatest assets, found most to be very friendly and very helpful, credit to them. Had a slight issue with room when arriving, and this was dealt with quickly and efficiently by lady on reception and operations manager to our satisfaction. 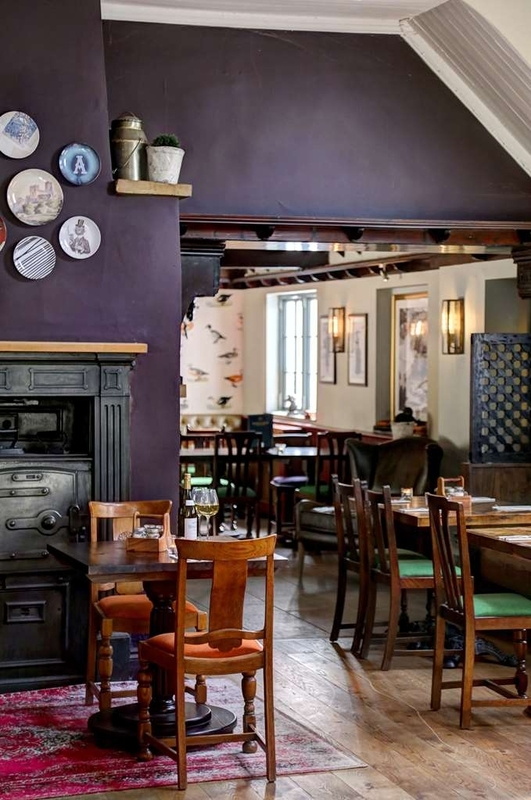 Food was very nice, good quality, and presentation of it was excellent, with a high standard of service in what l think it was in a new dining area from last visit. Found room to be very peaceful overlooking gardens, so nice to relax and enjoy the quietness and fresh air. Great to see you had a lovely stay. "Nice room, mixed experience at dinner"
We stayed for a night in the cosy double which was still a nice size (if low ceilinged!) We'd been downgraded from the deluxe double so were offered a complementary meal. My partner had the steak she enjoyed, I had the veggie burger which was poor. Overall our stay was ok but for what we paid I hoped for a bit more. Visited recently for a one night stay while in the area. Room was cheap and included breakfast. Lady on reception polite and helpful. Bedroom was clean as was ensure although very small. Not much soundproofing so could hear other guests. Food mediocre and restaurant could of been cleaner. Despite all being very pleasant, staff lacked service skills. Overall, ok for the price I paid but wouldn't want to stay again. 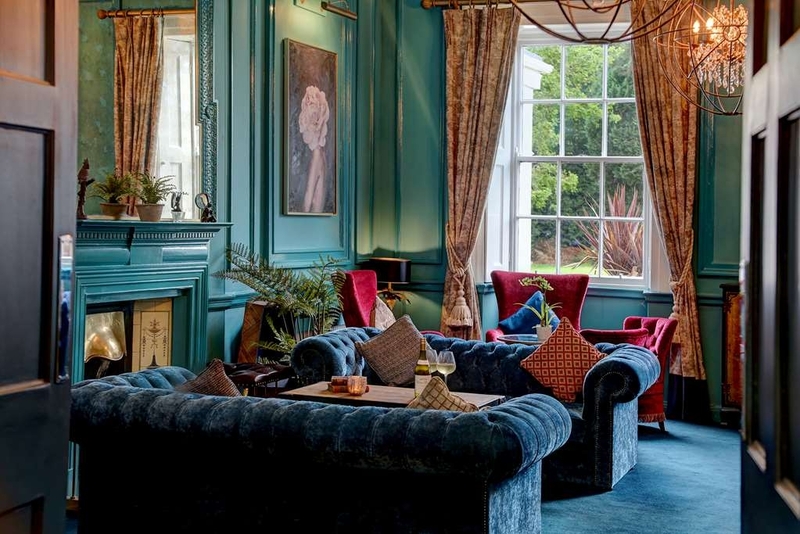 "A lovely country house hotel"
My wife and I stayed for two nights to allow a first time visit to Durham after watching our daughter in the Great North Run. It was lovely to enjoy a break in a quaint hotel far from the madding crowd yet only a couple of miles from the Park and Ride ( highly recommended for getting into Durham ). The room ( number 8) was very comfortable as were the beds and with lovely, creaky floorboards! Breakfast was fine as were the evening meals we had, although we were aware that on one night (Sunday), a number of guests were not happy with their meals. The staff were very friendly. We very much enjoyed our stay there. We booked this hotel as a last minute break and were not disappointed! 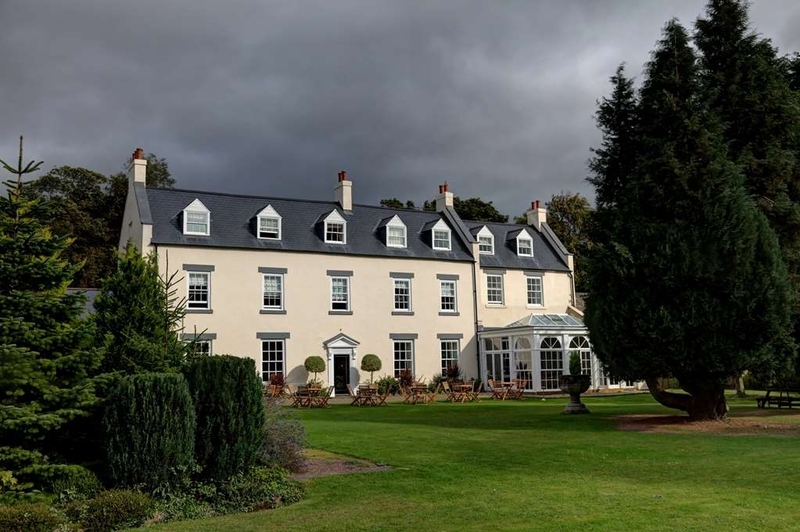 Close to Durham, nice, clean rooms (ours was overlooking the gardens to the back) comfy beds and I recommend the breakfast, lots of choice of fruit, cereal pastries etc as well as various cooked options!